The Keepers: Lost Progeny Collector's Edition is a fresh game to taste for those who are after the hidden object puzzle adventure games with creepy stories and professionally drawn graphics. The only thing that doesn't let the game get more stars here is the graphics that are beyond the medium level of creepiness. 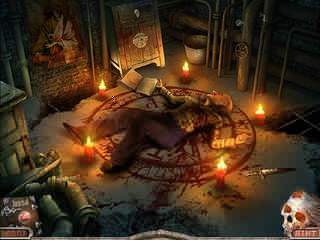 As to the gameplay, you are dealing here with the major ingredients of this genre. The game takes you on journey as the main character after you received a photo that is supposed to reveal the story of your parents. You go to that place that is mentioned on the photo. The place is all hellish and apocalyptic. The place where you wouldn't want to be. It actually looks like you have been swallowed into under the ground. So as you explore the place you learn more and more details about it and meet more and more characters, all of which are weird. But that is not that surprising when you find out where you really are. The game is very dark, and I'm not sure why exactly anyone would think of that as a perfect scenario. As to the gameplay, you are dealing here with the major ingredients of this genre. You will do a lot of interactive adventure here. Going back and forth finding and using the items scattered all over the place. It is interesting how the characters appear and also how you sometimes need to get them to talk to you. There are some mini-games that come as parts of the general quest, and sometimes you need to complete them even before you actually begin to solve them. 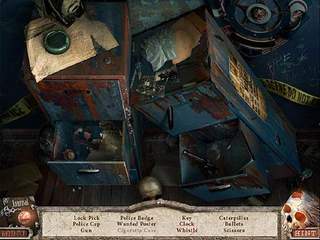 There are also hidden object scenes where you get to fidn the items listed for you. All of those are drawn very beautifully with many details. The same can be said about the rest of the game. The characters are voiced so you don't have to read a lot here. The game is great if you don't mind all the doom-and gloom of it. This is The Keepers: Lost Progeny Collector's Edition review. Download this game here.